Cortés was something even slippier: an adventurer authorised to trade and explore, who pretended to be an ambassador while betraying his boss. He had good captains, but the personnel who were key to his success were a marooned Spanish sailor, and a teenage slave girl. No one growing up with the young Cortés tipped him for success. Not even his parents. He came from a small town called Medellín. Life was brutal and brittle. 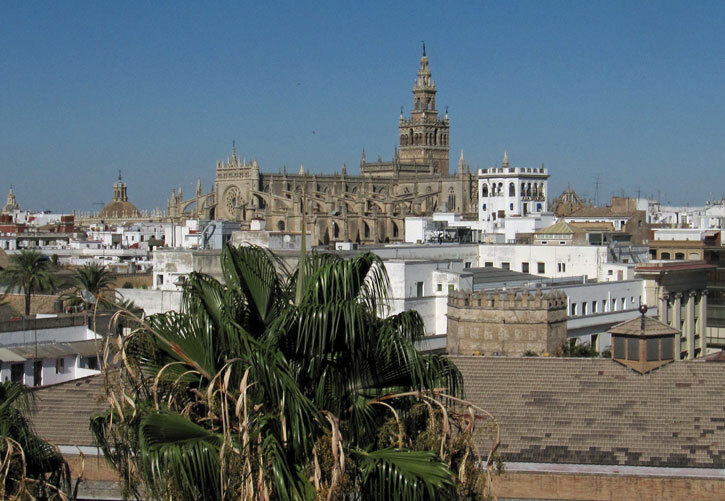 Most of Europe lacked heavy grain-growing soils to feed its cities. From 1450 Spain was being devastated by three million Merino sheep wandering over Extremadura and Andalucía devouring the grass, and exposing the soil to erosion. By the sixteenth century even trees were scarce. 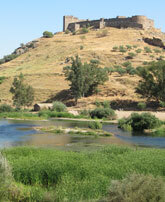 Extremadura was a place where go-ahead people got out. Medellín is reached by a causeway across a wide valley in the centre of which is a high bridge over the bright Guadiana river (pic 3). I visited in September, when the baking air still shimmered up the hill towards the castle which ranges along its ridge. This view would have changed little since the time of Cortés, for the modern town is hidden by the hill. 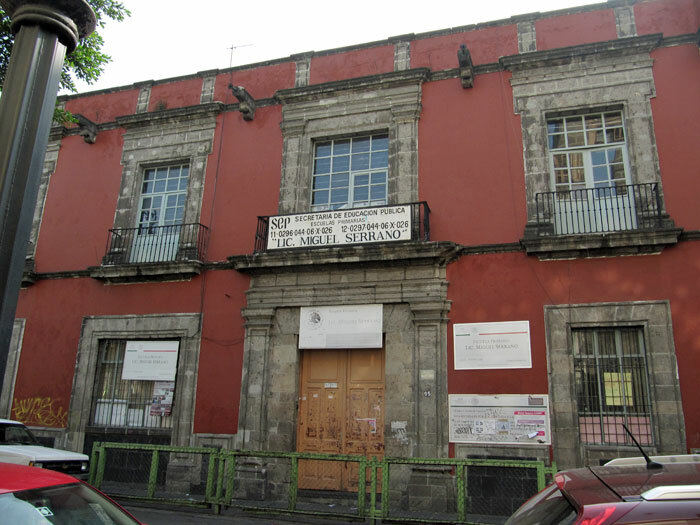 Even its population of 2500 souls is the same as in Cortés’s youth. It was one of those endless afternoons whose smothering heat stills the clocks. Shops and cafes were all closed, its inhabitants might have gone to the moon. One thing might not have surprised the arrogant and ambitious young man: his statue now stands in the square. 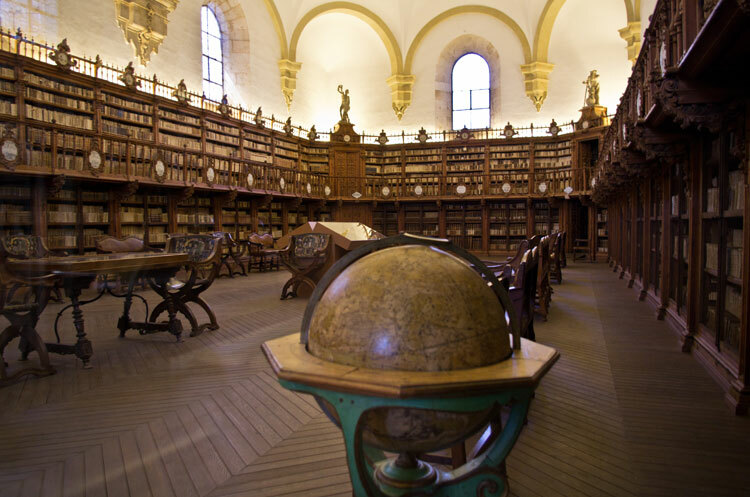 At some point he began training as a notary in Seville (pix 6 & 7), handling day-to-day legal work, and he continued his apprenticeship in Hispaniola. This kept his Latin in use, and he would always enjoy displaying his credentials as an educated man, in a way truly well-educated people do not need to do. What undoubtedly shows through in his writings and dealings is a knowledge of the law, and an understanding that in public life and the Court, the law mattered, or at least a show of proceeding according to law. But when he quotes literature or the Bible, we sense a smooth talker with a stock of aphorisms, not someone drawing on a reservoir of deep reading. One biblical quote he might have taken to heart was the opening line of St John’s Gospel: ‘In the beginning was the Word’. A lawyer’s understanding of the power of words would help to see him through. Inga Clendinnen, in her brilliant essay Fierce and Unnatural Cruelty, wrote that Cortés was ‘unremarkable as a combat leader’, and thought his captains, Alvarado and Sandoval, surpassed him. But ‘in his passion and talent for control of self and others, Cortés was incomparable.’ In other words he was a skilled manipulator. 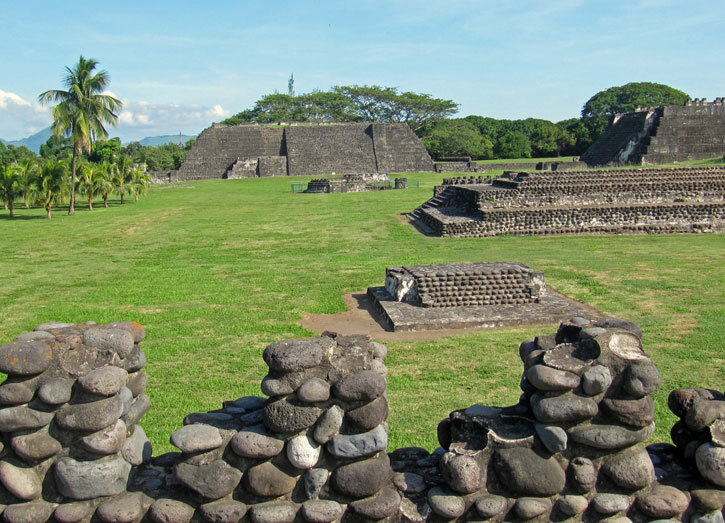 It was at Cempoala (pic 8), north of modern day Veracruz, that he first learned of the reach of the Aztec empire. The small city-state’s leader Tlacochcalcatl, simplified by chroniclers weary of polysyllables, to the Fat Chief, was a vassal of Moctezuma, and happy to befriend these aliens if they could help him defy Tenochtitlán. 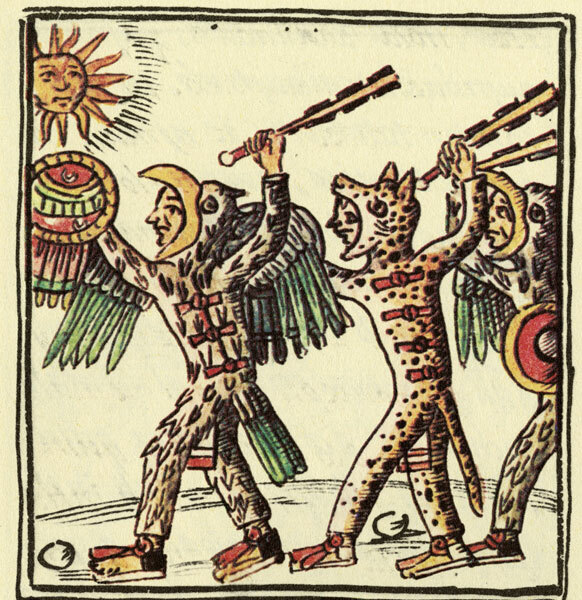 What Cortés learned there would help him formulate his strategy for conquest, which was to recruit the natural enemies of the overbearing Aztecs as his allies. But when the languages changed with every two or three days’ sailing, how was he to learn anything? He began his voyage with two Mayans on board, who had been captured on a previous voyage and taught basic Spanish: Julian and Melchior. Cruising the coast, they realised some Maya had chanted the word ‘Castilan!’ at them, and they tracked down a man who had a remarkable story to tell. He was brought on board Cortes’s ship wearing a ragged cloak with the remains of a prayer book tucked in it, and one ancient sandal on his foot, and the other tied to his belt. His ears and lips were pierced, his hair cut carelessly with a knife, and he was brown all over. In broken Spanish, he told his tale. ‘I am Jerónimo de Aguilar, of Holy Orders, born in Écija, east of Seville. Eight years ago I was wrecked on a voyage from Darien (Panama) to the island of Santo Domingo when our ship struck a reef called The Vipers near Jamaica. So twenty of us boarded the ship’s boat, but currents carried us to this country, eight of us already dead from want of any food or water, where the chiefs divided us up. Four were immediately sacrificed to their idols; the remaining seven of us were put in cages. 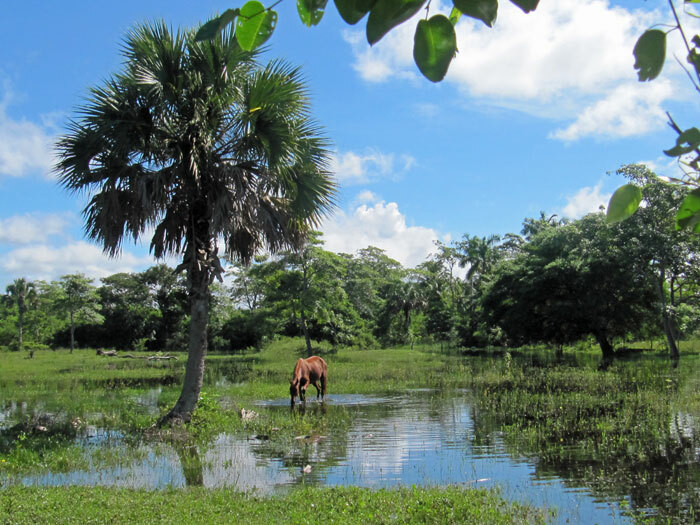 I had been intended for sacrifice, but one night I escaped and fled to chief Xamanzana, where I have been ever since.’ All the other captives had died, except for one, Gonzalo Guerrero. In Aguilar, Cortés now had a translator fluent in Maya, whom he could trust more than Melchior. The language he would soon need was a very different one, Nahuatl, the language of the Aztecs. But for the moment, Cortés was outnumbered by Native forces, and he needed diplomacy, and to do that he needed to talk, and now he had a voice. In Spanish a spokesman is a portavoz, literally a voice carrier. Two events illustrate how, under the noses of supporters of the governor he was usurping, he refashioned his trade trip into one of conquest. After a successful first day’s fighting at La Frontera (pic 10), the first full battle the Spanish waged on the mainland, Cortés cut three slashes in the giant ceiba tree in the square to claim the land. This was a formal act of possession, witnessed by Notary Diego de Godoy, but it caused grumblings among men close to Governor Velázquez. The terms of Cortés’s orders did not include conquest or government. What is more, he had taken possession in the name of the king, without naming Velázquez. He was repositioning himself to act independently of his boss. Without a knowledge of local culture, how could he know that even his sword-cut meant something very different to the Natives? The ceiba, with its massive trunk, was a sacred tree that held up heaven itself. Now it was scarred, and weeping sap. The defeated chief came to him with gifts and they included twenty slave women. One was called Malinalli. In Nahuatl, Malinalli is a grass, and also the name of the twelfth day of the Aztec calendar. Each calendar day had its own astrological significance, and day twelve, Malinalli, was the sign for difficult, unlucky, rebellious children who would be torn from their parents. The grass she was named after had a special use, it was strong enough to be pulled through a hole in the tongue to make the wound bleed for the gods. The association of speech and pain was embedded in her name. She told Díaz she was from the village of Paynala, near the modern city of Coatzacoalcos. In that area she would have been raised speaking Maya. 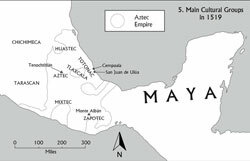 Nahuatl-speaking neighbours called this coastal Maya dialect Popoluca, which you will guess, after saying it aloud, means babble. Her parents were nobles, but her father died when she was very young, and her mother married another chief, and bore him a son. They wanted this son to succeed to their titles, and plotted to dispose of the daughter. One night they secretly gave her to traders based down the coast at Xicalango. 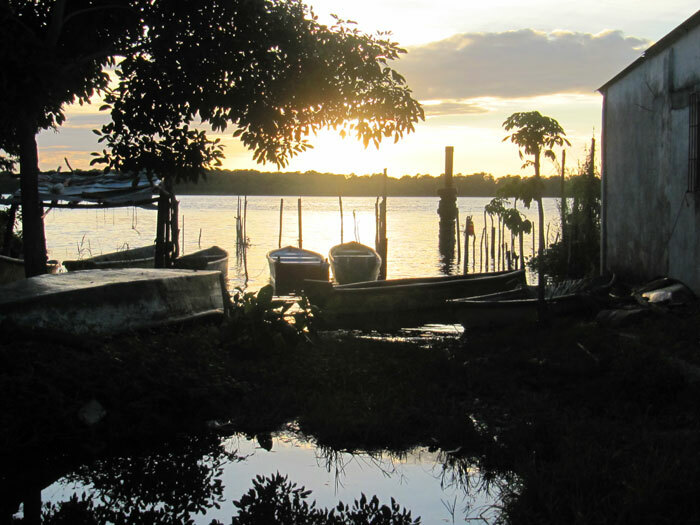 Because of long-standing trade links, the Nahuatl language of the Aztecs was also spoken in this coastal enclave. 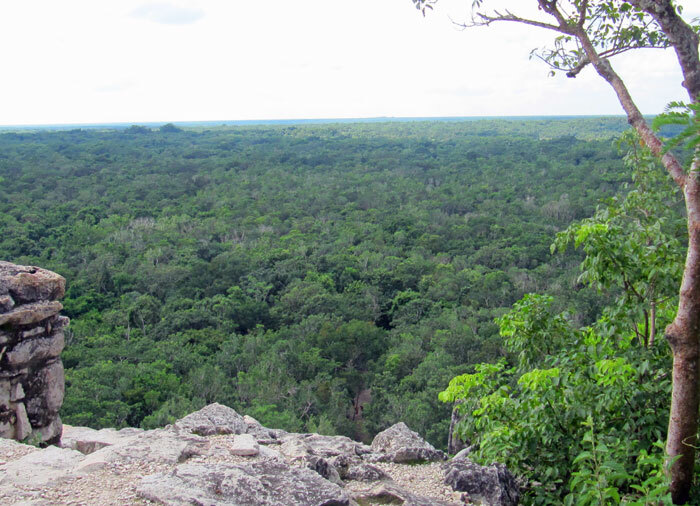 The traders sold her on to men from Potonchan, close to modern La Frontera, who spoke Maya, which she now learned. We know she was intelligent with an aptitude for languages, and this would have made her valuable. She would also have seen how different nations in this patchwork of mini-states did business; commerce and diplomacy were closely linked. These skills would direct the course of her life. Malinche spoke Nahuatl and Maya, Aguilar spoke Maya and Spanish. Through this pair of tongues Cortés could talk to the two most powerful groups in Mesoamerica. Within months her Spanish caught up with Aguilar’s half-forgotten usage. 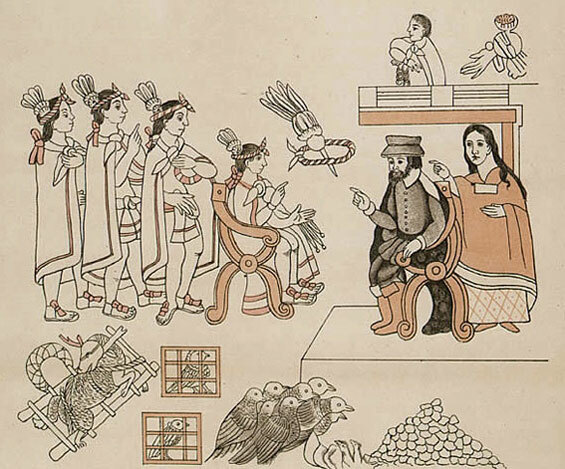 From then on, for the duration of the conquest and well beyond, one person constantly appears at Cortés’s side in the manuscript drawings of events, sometimes drawn larger than the men, to indicate her importance; that person is Malinche. She is speech, and speech is power. 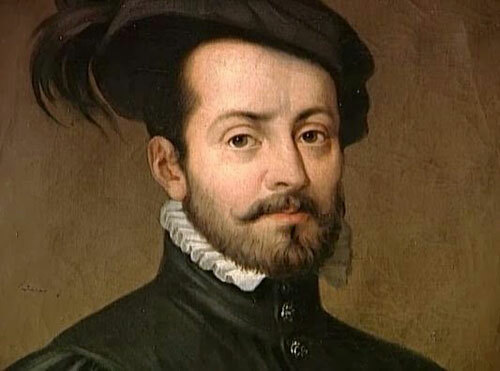 Cortés had no mandate for settlement; officially he was trading and looking for a man called Grijalva, who had gone missing on a voyage two years before. So before Cortés reached the Fat Chief in Cempoala, he performed the second of the significant acts which redrew his mission; he staged a coup over his own expedition. His aim was to be independent of the power base in Cuba under Governor Velázquez. When he told the men his orders had been fulfilled, and they would now seek to settle, loyal supporters of Governor Velázquez became furious. At first, Cortés seemed to capitulate, giving orders to return to Cuba. But many more men had become disillusioned over the slim pickings remaining in Cuba and Hispaniola, and saw Mexico as their chance to own land. They protested so vehemently that Cortés threw up his hands and allowed himself to be persuaded to stay, able to portray his own plans as the common will. He now wrote his own orders. The law’s requirements had been observed; his legal apprenticeship had not been wasted. 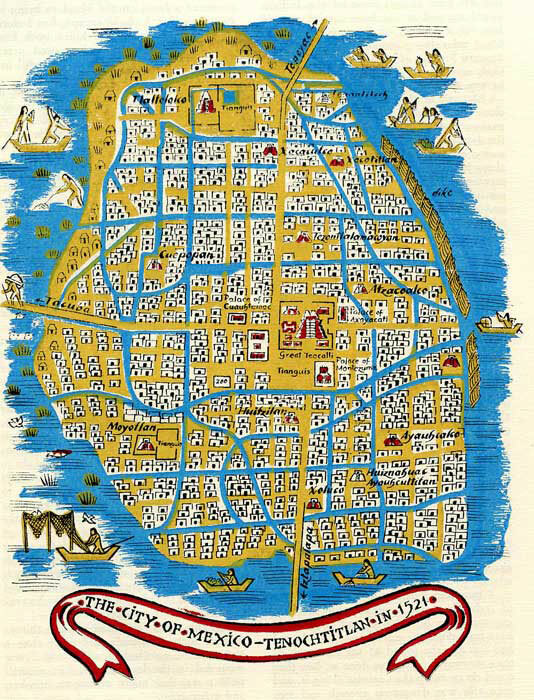 In November 1519 they arrived at the Aztec capital of Tenochtitlán. The person who would address its emperor was the slave Malinche. If she was of average height for a native woman, she was just four feet ten inches tall, but now she stood toe-to-toe with kings. There were two styles of language within the Nahuatl-speaking world. Moctezuma would have used tecpillahtolli, the highly formal speech of court in which it was polite not to say what you meant. You might even say the contrary, in a kind of irony of manners. Malinche had not mixed in aristocratic company, with their diplomatic corps highfalutin speech, but all the evidence is that she coped perfectly. As a woman, her mere presence would add tension to the situation, speaking in forums where no women ever spoke. Codices show her staring Moctezuma in the eye as she speaks. This would have been doubly insolent. 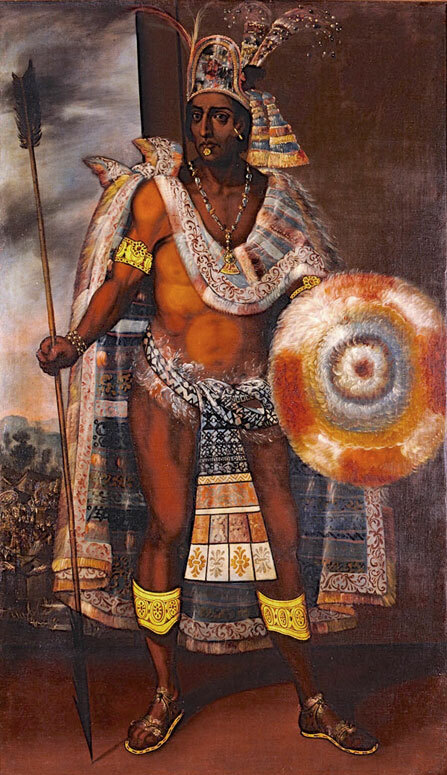 From early on, participants, chroniclers then historians created a Mexican myth setting in opposition Moctezuma - a timid, cowardly, despotic, effete savage king, bound to an irrational religion, and Cortés - noble, valiant, pragmatic, single-minded, rational, intelligent, flexible, persistent. The first great historian of the conquest, the nineteenth-century William Hickling Prescott, would present it as a consequence of mental and moral qualities allied to technological superiority. While Cortés possessed many of those virtues, his morals were what the occasion suited. He waged a campaign of diplomacy by necessity, for his steel swords, guns and horses couldn’t defeat the Mexica until he had enough Native allies to outnumber the Aztecs. By that time, Tenochtitlán was ruled by a man as skilled, savvy and determined as himself. Even in warfare, the languages of engagement were different. The Spanish fought to kill and win. The Aztecs had been dominant in their region for generations and fought to take prisoners for the sacrifices. It was harder to take a fit man alive than kill him, and if you succeeded, you had to bind him, and take him to the rear of battle before rejoining the fray. It was scrupulously observed; taking captives turned an ordinary man performing military service into an honoured warrior. Thus at one point, during desperate fighting for the city of Tenochtitlán, Cortés became isolated and Aztec warriors seized him. But obsessed by taking this supreme prize as a prisoner for their gods, they spurned the opportunity to kill him, and Spanish soldiers had a few precious extra moments to rescue him. Cortés did not fall, but the empire would. The Spanish had appeared from across an ocean that Native Americans could barely have imagined contained an opposing shore. 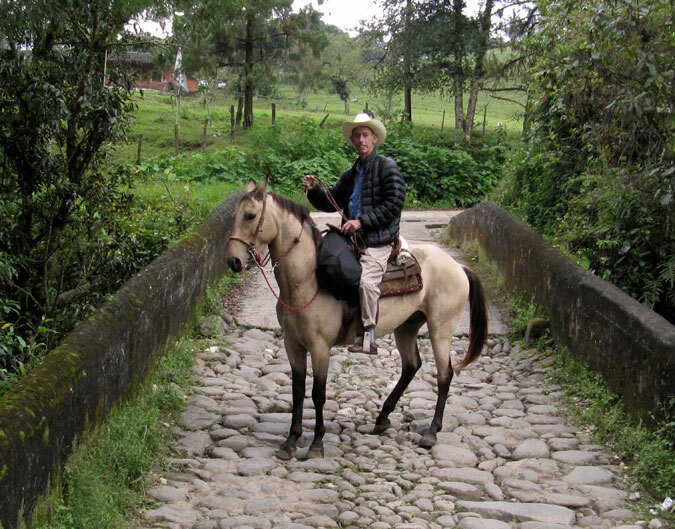 The Nahuatl phrase for distant places literally means ‘beyond the mists’. Back in Spain, people were trying to make sense of the strange new world that had been revealed. 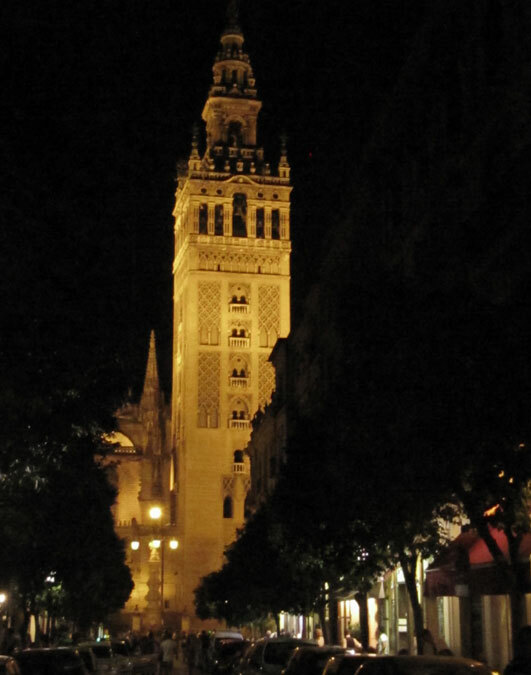 It was widely believed, including by Columbus, that the conversion of these new pagans had been given to the Catholic monarchs of Spain and Portugal as one of the last great acts before the final days of the world. Beyond the mists, in the blinding light of the hot southern villages, the timeless love and anxiety of mothers for absent sons was playing out, day by slow day. 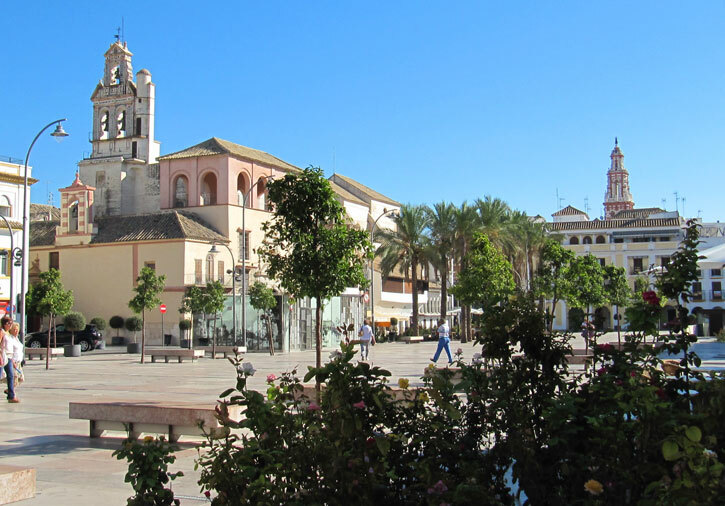 Aguilar’s hometown of Écija is known as the Frying Pan of Andalucía, and is one of the hottest towns in Spain. Its fine baroque buildings are thronged with churches. Aguilar’s mother was well known around the town during the long years after his capture, for when she had been told he was a prisoner of cannibals, she gave up meat, and became hysterical each time she saw it cooking, screaming ‘That’s my son!’ She haunted the church of Christ the Captive. The Sunday morning that I visited, the porch shadows held beggars desperate in the face. One ancient lady made noises in the throat, as if croaking though a ruined grating. A feeble arm gestured towards her plastic bowls. I gave to one mother, and remembered another.